Tucked away by the quiet fishing village of Grand Gaube on the Indian Ocean island of Mauritius, this secluded resort is a true romantic hideaway, so it’s the perfect addition to our list. Relaxing and diving off the beach are the order of the day here, but with ocean views from every room, five swimming pools, a spa and even a cinema, there’s plenty to entertain the more active honeymooner. Look out for the hotel’s great value all-inclusive rate, which includes dining, afternoon tea, drinks, spa treatments, water sports, land-based activities like tennis and golf and evening entertainment, so you really don’t need to worry about a thing. Find your own private paradise at the former Balmoral Club, once frequented by royalty and the well-to-do types of 1940s society and now an exquisite adults-only resort. Arrive in style with a Rolls-Royce or Mercedes airport transfer and let your own personal butler, at your service day and night, do the rest. Spend lazy days exploring beneath the waves – unlimited scuba diving is included – or sign up to one of the many land and water sports on offer. Best of all, sail to a private shore-hugging isle, just a few minutes away by boat (or perhaps you’d prefer to kayak?). Here you’ll find two secluded beaches, one perfect for hammock lazing and the other a snorkelling hotspot. What more could you want from your first trip as newlyweds? 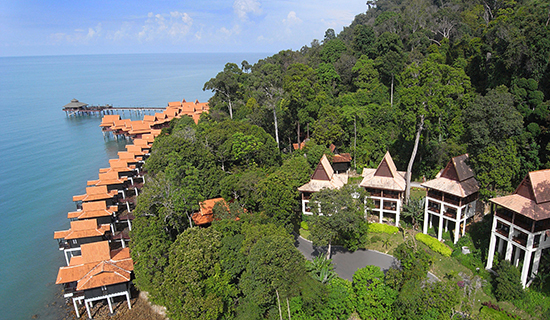 Lucky guests at the Berjaya stay in a gorgeous oceanfront chalet on the edge of a lush tropical rainforest, surrounded by emerald mountains and sapphire seas. Feeling flash? Upgrade to an overwater villa, on stilts over the lapping waves, and treat yourself and your beloved to thoroughly romantic, uninterrupted ocean panoramas. Take a dip in the pool and snorkel in the sea, which teems with colourful marine life, or simply relax and rejuvenate in the Taaras Spa. For a day trip with a difference, take the cable car up to Mat Chincang (Cincang), Langkawi’s second highest peak, and gaze across the 99 islands of the Langkawi archipelago. 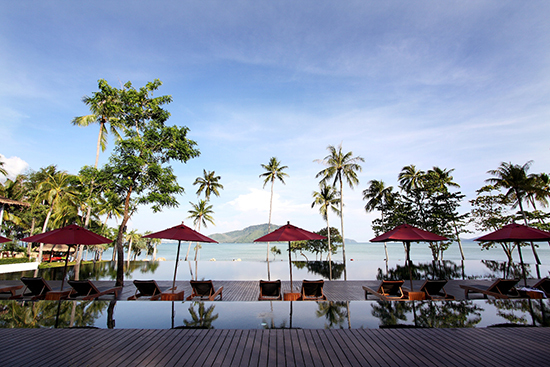 Slow down the pace of newly-married life and relax among the gorgeous scenery of this peaceful resort, far removed from Phuket’s busy tourist centre. Stay in a chic villa nestled in lush, tropical grounds and filled with the heady aromas of jasmine and frangipani, with the wide expanse of the Andaman stretching out in front of you. With an intimate tiered infinity pool, it’s the perfect place to kick back undisturbed. Or, if you can prise yourself out from under that palm tree, have a go at scuba diving or join a Thai boxing class together. Discover a slice of solitude on this private estate on St Lucia’s south-west coast, overlooking the towering volcanic cones, sulphurous fumaroles and steaming hot springs of the World Heritage-listed Pitons. Each suite boasts a private terrace and infinity pool and, with no fourth wall to the bedrooms, the unrivalled views out to sea are just like a scene plucked from a postcard. Listen to the gentle lapping of the ocean waves and let the peace and quiet send you to sleep. 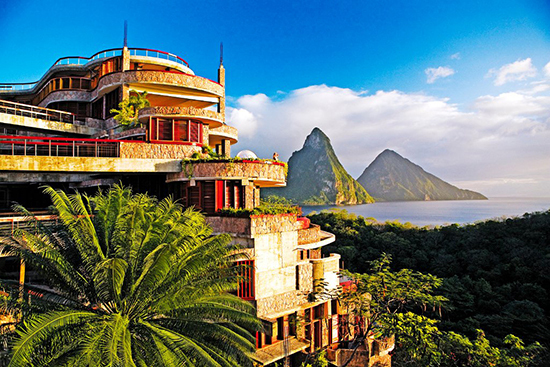 For something a little offbeat head up to the Jade Mountain Club and try chocolate-making class run by award-winning chef Allen Susser. 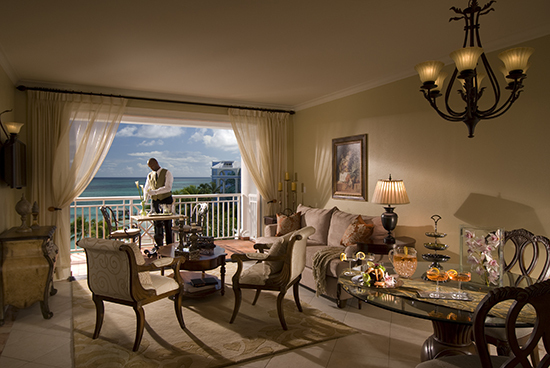 With deluxe suites overlooking the ocean, private plunge pools and your very own personal butler on-call 24 hours a day, this is a place to feel pampered with your partner. You’ll be looked after from the moment you sip your welcome cocktail to the moment your driver drops you back at the airport, in a limousine, no less. Watch the sunset over the 120-metre pool, indulge in a treatment or two in the spa, dine in one of the five restaurants on-site and let Aussie chef Robert Marchetti tempt you with his own Italian-style twist on the Thai classics. 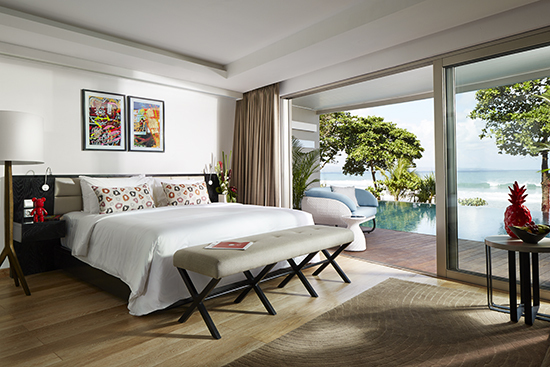 Recently refurbished, the sparkling new rooms at Sandals Barbados are decidedly indulgent, each with their own tranquillity soaking tub, private balcony and discreet personal butler. 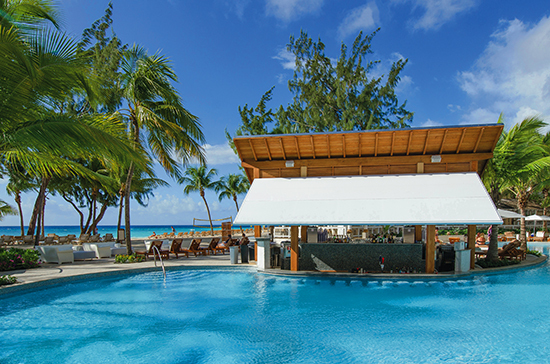 Treat yourself to a swim-up suite, where you can float through the resort’s sparkling crystal lagoon, the longest in Barbados, right up to your room. During the day, explore your surroundings with unlimited scuba diving (included) and water sports including kayaking, canoeing, paddle boarding and Hobie Cats, then, by night, soak up the warmth of a crackling fire with a cool glass of bubbly in hand. This sumptuous adults-only resort looks out across the pristine beaches and azure waters of Mexico’s famed Riviera Maya. Awake to the sunlight sweeping in across your four-poster canopy king-size bed, watch the early morning waves from your private balcony or terrace, and take a refreshing dip in your very own pool. 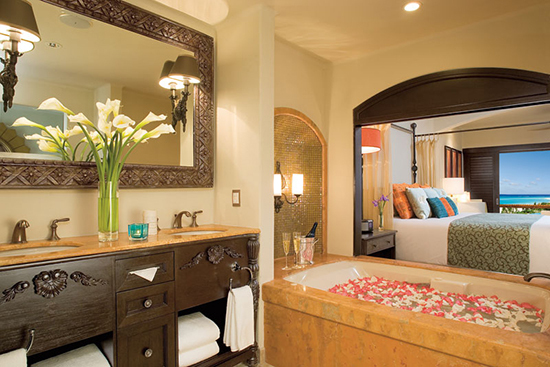 If you’d prefer to stay in, there’s always the in-suite Jacuzzi (with room for two!) and a complimentary minibar. Your honeymoon here is what you make it – choose from a relaxing flop on the beach or an action-packed adventure with tennis, deep sea fishing, stargazing, snorkelling, windsurfing, sailing, scuba diving, swimming with dolphins and zip-lining. Phew! Born with a severe case of itchy feet, I’ve tried to appease my perpetual wanderlust by selling high-end safaris, dabbling in guidebook writing and more recently travel writing and blogging, but to no avail. A life-long lover of the great outdoors, I’m at my happiest when hiking up a mountain, or skiing down one.